Hammer continues its honoring of the legend of The National Bowling Association with the Rhodman Pearl bowling ball. Bill Rhodman was a legend in the TNBA which is why they dedicated all of the regional events in his memory by calling them "Rhodman" events. The Hammer Rhodman Pearl ball features a pearlized Juiced Maxx coverstock which is finished with a 2000 grit Abralon pad then polished with Powerhouse Factory Finish Polish and is paired with the strong, symmetric Spheroid core. This combination provides length with a strong backend and plenty of hook on medium oil lane conditions. This bowling ball is Carbon Fiber Infused! Carbon fiber is one of the toughest materials on earth. Hammer decided to add this material to the inner core of this ball for added strength and durability allowing them to offer an incredible 3 year warranty. In 1948, Bill Rhodman secured his place in bowling history by becoming the first African-American to roll a certified 300 game in competition. Thw as just one event of many that contribute to his legendary status. During the 1953-54 bowling season, while at the peak of his bowling game, Bill was stricken with a blood disease and was told by doctors his bowling days were over. After a three year convalescence, Rhodman returned and embarked ona remarkable comeback, especially for the time period. In the 1956-57 season, he carried a composite average of 207 in three leagues. He rolled a 300 game and had a series of 748 and 760 in competition. He refused to yield from bowling until 1959, when, at a new peak in his career, he had to have both of his legs amputated. Even then, he was relentelss in his passion for the game, spending most of his time at the lanes coaching, teaching and mentoring young bowlers from his wheelchair. In 1961, Bill Rhodman passed away at the age of 47 and remains a legend, easily being regarded as one of the greatest African-American bowlers of his era. In 1997, nearly 50 years after the legendary 300 game, William "Bill" Rhodman was inducted in the American Bowling Congress' (now USBC's) Hall of Fame in the category of "Bowling Pioneer" for his efforts in expanding the interest in bowling within the African-American community and to youngsters. He was also an accomplished instructor, promoter and competitor. In 1972, the TNBA Eastern Region hosted the very first "Bill Rhodman Singles Classic Tournament" at Madison Square Garden and was soon followed by all of the other regions. That legacy continues today. Similar Balls: Same Hook Potential, Lane Conditions & Coverstock as the Hammer Rhodman Pearl. I stand by that headline. The Hammer Rhodman Pearl is absolutely the best ball I have ever drilled out of the probably 100+ I've tried. This ball is unbelievable easy through the front part of the lane, but extremely heavy rolling in the mids and backend. There is just no better ball on the market right now for your typical house shot, and it continues to win again and again on the pro tour. You are absolutely giving pins away every game that you aren't throwing this ball. I've drilled three with completely different layouts and every one is a winner. 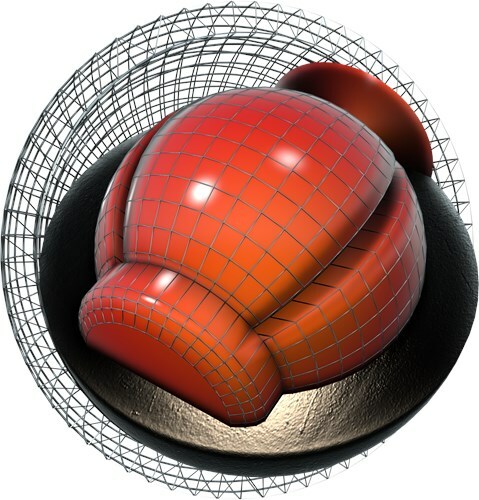 All styles and experience levels will have success with this ball on a variety of lane conditions. It has even been impressing staffers from other companies (Jealous they don't have one!). I will be picking up a few more cases of these very soon to stockpile. Please do yourself a favor and get yourself one or a few ASAP and watch your scores improve! By Drewsky K from Kansas City, mo. Of the past 6 months, no medium to high performance ball has outsold the Rhodman Pearl in my pro shop inside a 24 lane center. I have drilled two for myself, as well, and have thrown them on a variety of league and tournament patterns. Excellent mid lane roll for a pearl, with that expectedly hard reaction off the spot! Here is my take on the Hammer Rhodman Pearl. This release features the same core as the original Rhodman with a purple Juiced Maxx Pearl 2000 Abralon polished cover. Like all Hammer equipment, it carries with it the industry leading 3 year warranty. This is the 2nd TNBA Rhodman release by Hammer. I have tried this ball at box and at a straight 2000 Abralon finish. My rev rate is 405 and have a PAP of 5 9/16 over and 1/8 up. Layout used was 50 x 5 ¼ x 70 with a weight hole 4 inches over/2 inches down from grip center. I have used this ball on a varied of THS/modified THS as well USBC White. I have found best success with this ball where there is a big over/under and need to blend out the pattern. Alternatively, this is a good selection for when an original Rhodman (or original Bad Intentions) is burning up and the bowler seeks a similar motion but with a little more length. I also like this ball on the medium to shorter distance patterns where there is at least a medium volume to the pattern. Again, this ball is best suited for blending out over/under either front to back or side to side...as long as there is sufficient volume to the pattern. 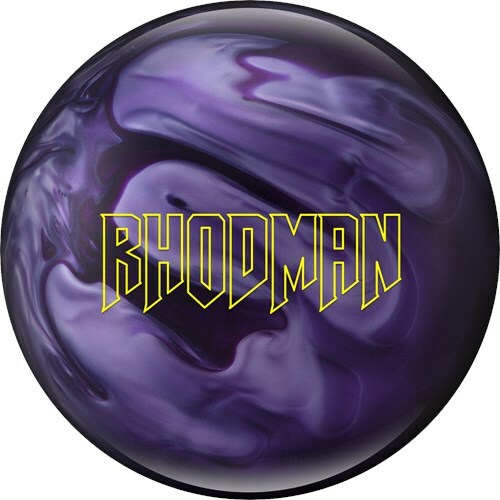 See your local proshop about the Hammer Rhodman Pearl! Great ball to bowl with. Bowled my highest league game 288 along with other high games. A must have. There is only 1 word to describe this ball "AMAZING". Rhodman pearl is the most versital pearl that I have throw in a while. I have throw this on many house shot and medium sport patterns and it always performs. this is the 1st ball out of bag and I never leave home without it. It will definately be going to USBC Open Championships. This has got to be one of the best, if not the best pearl ball In have ever owned. The ball motion is very predictable and strong. Nice and clean through the heads and midlane with plenty of punch left.for the pins. Great for normal house shots, yet will respond on heavier oil as well. This will stay in my bag for a long time. I was going to have the pin 3 or 4 inches out! What do u think?? I throw a back up ball! And how long do u think it would be if I ordered a 12 lb ball?? Thank You very much!!! The pin placement is a better question to ask your local driller. The ball would ship out and take about 3-7 business days to get to you. What core does the 13 Lb have? This ball works best on medium oil conditions only. It will perform differently on drier lanes. Due to the time it takes to produce the Hammer Rhodman Pearl ball it will ship in immediately. We cannot ship this ball outside the United States.